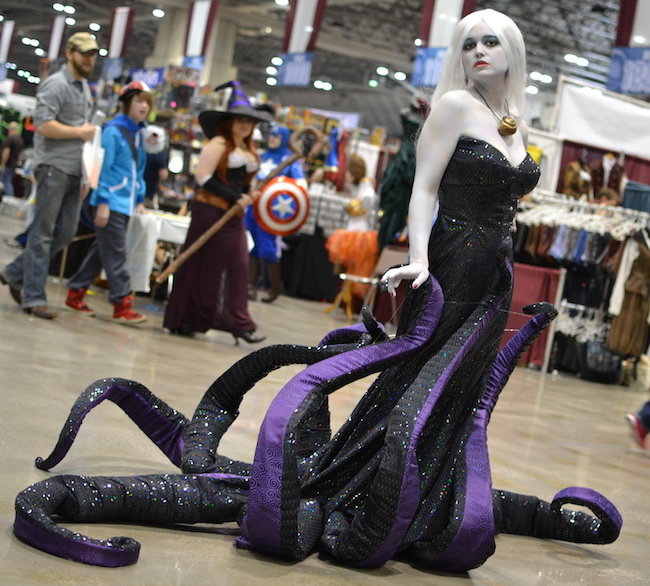 Ezmeralda Von Katz impressed the fans this year with both her Catwoman costume and her Ursula dress. Von Katz spent plenty of woman hours on crafting this amazing gown that looks like it came straight out of a Disney movie. 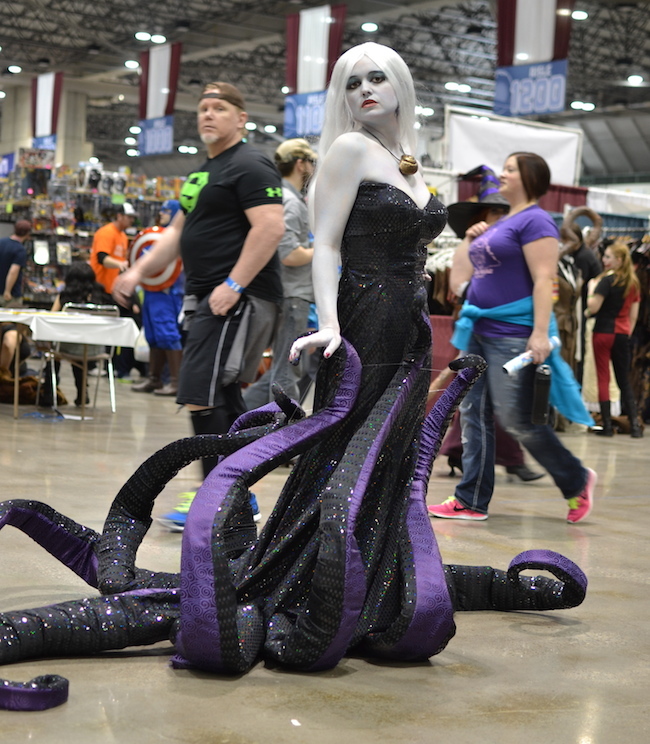 A good blend of make-up and plenty of confidence took the costume to an entirely new level as she couldn’t even move due to the amount of fans surrounding her. Check out Ezmeralda Von Katz on Facebook.